Middle Pillar proudly presents an album of diverse beauty and transcendence: Asphodel by the Machine in the Garden is the band’s fourth full-length release revealing their richest and most compelling work. Creating a powerful yet delicate mix of darkwave influences and ethereal melodies, the duo of Roger Frace and Summer Bowman invoke soaring guitars, tribal rhythms and electronic sweeps. Entwined with her majestic and evocative vocals, Summer’s words and delivery underlie their music’s unique emotional core. 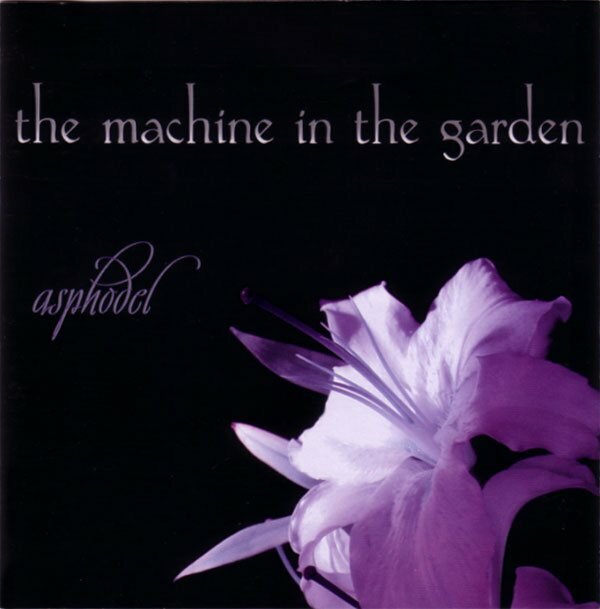 Like the flower of the album’s namesake, Asphodel unfolds layers of the band’s vision, relating songs of love and desire, sorrow and despair, always searching for the quiet beauty underneath the darkness that strengthen the roots of the soul. Roger and Summer’s music flows effortlessly from the club friendly dance tracks like “Wonderland” and “Seek” to the bittersweet melancholy of “Dawn” and “One”. The album ends with a stirring version of Depeche Mode’s “Photographic”, re-imagined in their idiom. Asphodel is an album that grows from multiple listens, where the petals are many and outstretched to the sky.